Renting a home? Find out your rights to save yourself from unjust and unlawful actions! Renting a home is already quite a tough process, add to that illegal practices by landlords and you can find yourself in quite the swamp of trouble. A large number of people who rent homes are unaware of their rights and get cheated by their landlords. Your rights are your power. Learn your rights as a tenant with our help. What are you rights before you move in? Discrimination on the basis of race, religion and more is an offence. Your landlord cannot refuse to give you the home for rent on the basis of your ethnicity or any other unjust base. If you believe he has done so, request a valid reason for the rejection. If you do not receive one, you can file a case against them with the help of a paralegal. What are your rights after you move in? You are entitled to have privacy. As a tenant, you are required to have all the documents which show that you are the tenant of the house. Please make sure to collect them from your landlord as they are your proof. Any tenant has the right to have the rented house properly maintained by the landlord. The landlord must have clearly warned you of the hazards. If they have not done so, the tenant can sue. A landlord cannot evict you with brute force. As a tenant you have the right to remain in the home until you are asked to leave by the court. You have the right to question the landlord and file a case against them if they increase the rent frequently (landlords can make controlled raises once every year within legal limits). Your landlord must give you a notice before they visit you. If you feel your privacy is being hindered by constant and unnecessary visits by your landlord, you can file a case against them. 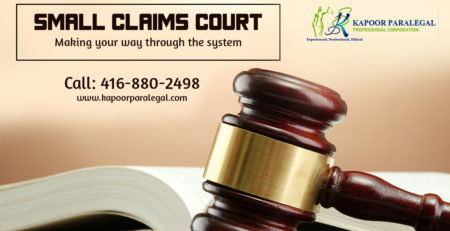 All you need to Know about Small Claims Court Lawyers?